Congratulations to the Indian Space Research Organization. 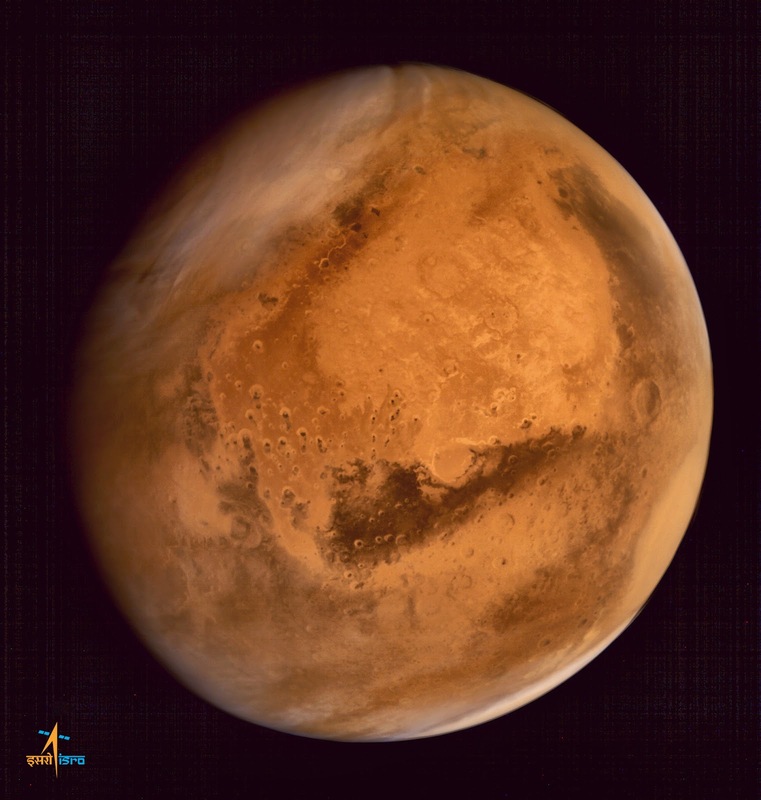 They put a spacecraft into Mars orbit on their first attempt, and they are getting back some spectacular images. Thanks for the kind words Thomas. Be sure to have someone do a video of your presentation. 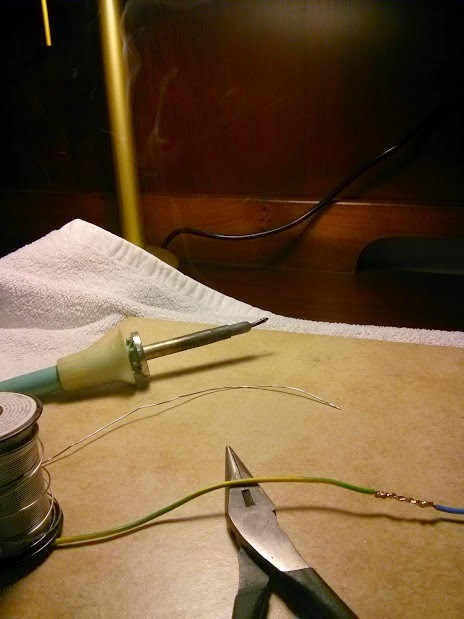 You truly have The Knack -- proof of this is your reaction to your wife's departure for field research in Senegal: "IT'S SOLDER TIME!" That's the spirit! I have been listening to your podcast for about a year now. I think you were right to say that one episode a month is a reasonable limit to avoid listeners getting addicted. At some point in January I was listening to you every morning and every evening in my car, a very serious case of addiction. This is also the time that Farhan chose to announce the Minima and my wife to go to Senegal for 3 months for a field study (she is doing a PhD in Sociology). I think it took me less than a week to run to the shop, get most of the parts and start melting solder! In two weeks from today I will present the project and my build at Pacificon. I would really appreciate if you could mention this on your blog because I am sure there are other listeners who will be there and curious for some homebrewing-materials. I hope to delight them! My presentation will retrace my journey building the minima. From the first smokes on the crystal filter when I was not even sure how to test it, or what results to look for ; to the amplifier where I am still battling some oscillations (by the way, if you had not talked so much about them, I would never have understood what was going on!). This project has taught me that radio is a lot less black magic than I thought. It bridged the gap between the maths that I can understand but not really "see" and the sound coming out of the amplifier. It made me realize that once split into stages, a radio is much better understood and testable. Without a doubt, this has been my most ham-enriching experience and I hope to convince more people to build a minima, preferably Manhattan style! 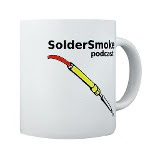 I got pulled back from homebrewing by life and work this summer but I kept the last three episodes of Soldersmoke on my phone. They were my safety parachute and I listened to them last week on the way home to give me the extra boost that gets me to melt solder or fix bugs until 3 in the morning on a tuesday. I don't think I will ever be able to express my gratitude for all that I have learnt reading the book and listening to you but I would like to start here: Thank you! Please keep the podcast going! I have really enjoyed the new format with Pete. For the past month or so I have been wondering about a strange echo that I've been hearing on the 31 meter transmissions of Radio China International. I first noticed it on my "Kings Speech" regen receiver. Then I heard it again on my "Off the Shelf" regen. For a while I thought that what I was hearing was a propagation effect: Perhaps the very strong RCI relay station in Quivican,Cuba was sending north a signal so strong that it was travelling around the earth along the grey line and coming back to me about .133 seconds after the original reception. This sounded plausible (and it does happen sometimes). But there were reasons for skepticism: Why wasn't anyone else hearing this? Why wasn't the effect showing up on signals from Radio Havana Cuba? Pete Juliano had suggested that perhaps I was getting signals from TWO different RCI transmitters. I had quickly checked the RCI schedule and didn't see them transmitting on the same frequency at the same time from multiple transmitters, so I kind of put that idea aside. Hey, the round-the-world idea was just more appealing! But then I remembered something strange about the echo: It seemed to disappear when I tuned close to the center frequency of the RCI signal, but then appeared when I tuned off to one side. Hmm.... That was an important clue. Last night I was listening to RCI English service at around 0030 UTC on 9570 kHz. Nice clear signal. No echo. At 0100 UTC the program changed, and the echo started. A very strong echo. At 0030 they were transmitting from their relay station in Cerrik, Albania on 9570 kHz. At 0010 they switched programs, frequencies and transmitters. At 0100 Cerrik shut down, but the Quivican, Cuba relay came on on 9580 kHz. At the same time the RCI transmitter in Kasi Sabagh in far-off exotic Western China, in Xinjiang, fired up on 9535 kHz. Both transmitters were carrying the RCI English service. You see, my little regens are not very selective, and the RCI transmissions are quite strong. So if I have my receiver tuned to around 9560 kHz, I'll be hearing BOTH the signal from Cuba AND the signal from Xinjiang. That would explain the echo. To try to confirm this, last night I fired up my old Hammarlund HQ-100 receiver to see if I could discern the two different signals. I could. And the echo appeared when I tuned BETWEEN the two. You can hear this in the video above. There is one remaining question here: Is the echo caused by the RADIO path difference between the two transmitters? Or are we just seeing the effect of the programming being transmitted at slightly different times, perhaps with this delay caused by INTERNET latency? Anyone know how RCI gets its signals from its Beijing studio to its distant transmitters? I calculate that the path difference is about 10,000 km. With c at 300,000 km/second, that would yield an echo of only about .03 seconds. The echo we are hearing sounds longer than that, so I suspect we are hearing a difference in studio-transmitter transmission time. What say the SWL RF gurus? BTW: I think the same phenomenon may explain the echo on Brother Stair's "Overcomer" signal. I see that starting at 2200 UTC he is on BOTH 7570 kHz and 7730 kHz from RMI transmitters in Florida. Perhaps they are not synched up. I think this is all very cool. Think about it: Here I am, sitting in Virginia in 2014, listening to the Albanian, Cuban, and Xinjiang relay stations of Radio China International on a receiver first built by some guy in England during the 1930s. And I'm trying to figure out if the echo I hear is caused by the limits imposed by the speed of light and the size of the earth, or by the time it takes packets to move through sub-oceanic fiber optic cables. I liked this video about building hardware for a Mars mission at a lab in New York City. Edwin did a beautiful job on his BITX. This is an excellent example of stage-by-stage construction. This is his THIRD BITX. On the second one he got all the parts from an old television and a washing machine. That's the true BITX spirit! I want an S Meter! Here in Northern Virginia, it is not all that unusual to run into friends and have them say things like, "We're moving to Antananarivo." Here is a report from Jack, AI4SV on his new location. That garage seems to have real potential as a workshop Jack. I thought I'd turn the tables and give you a bit of travelogue and radio news. The only radio-related item in our air freight was my toolbox, which I thought was justified. I lugged along the rest of the station in my carry on, an FT817 (with post-market Collins mechanical filter), magnetic palm paddles, a winkeyer, and the 40/20/10 end-fed LNR halfwave dipole, plus some mason line. I also brought a very compact 240V recharger that I had picked up in Sweden. The day after I got here, the dipole was hung using the time respected coke bottle on a string method, which greatly entertained the guard assigned to the house. A couple days later, I clambered up on the roof to raise the feed end another ten feet. Since then, I've worked about 240 stations with my QRP rig (all but three CW). I don't have any way to upload to LOTW right now, but my rough estimate is that I have worked something like 45 DXCC entities. 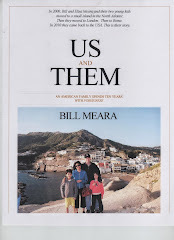 The location is probably not as ideal as Azores in terms of having a nearby salt water ground plane, as we're 100 miles to either east or west coast, and the local noise here can be very high in our tightly packed appliance-heavy diplomatic neighborhood. On the other hand, we're on the central highlands, almost a mile up and Madagascar is a very desirable DX location. When propagation smiles on me, I can work runs of 30+ stations before I disappear again into the ionospheric mist. Before I got here, I talked with a bunch of US, UK, and German hams who had held 5R callsigns, and they gave me the lay of the land. Phil, G3SWH became my QSL manager and put me in touch with Albert, 5R8GZ, who has been a huge help. Prior to arrival, Albert was able to put through my paperwork with OMERT, the local equivalent of the FCC, so I could get on the air as soon as I arrived. He has similarly assisted quite a number of visiting hams and dxpeditions and is a big proponent of ham radio in scouting here. There's no ham club here, but there are so few active hams that in my three weeks here, I've either met or been introduced by email to about half of them. It will be another month before our main shipment hits the docks here, and meanwhile management has given me the thumbs up to install a tower in the backyard to support a hexbeam. Between the K3 and the hexbeam, I think I'll be in good shape to do some serious operating, although I think that a couple months of operating QRP has been not only a character-building experience, but has given me a much better understanding of propagation patterns. My toolbox arrived last week and the soldering iron was put to immediate use to build a dipole for six and then 15 meters. I've captured the moment of "first smoke" in the new location for your viewing pleasure. So, please look for me on the air in future months and point your moxon over here when you can. I'm putting updates about the station's status on its qrz page. 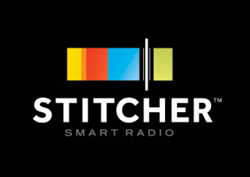 Keep up the podcasts! I've enjoyed the series with Pete Juliano - kind of a return to the original format. Also, I've listened to the icq podcast for years, so it was great to hear the "very special crossover episode" with you and Martin. Pete Eaton sent us links to an old article from the New Zealand magazine "Break-In." So many good, simple rigs come to us from New Zealand! Who can forget ZL2BMI's DSB rig? This one is the work of Fred Johnson ZL2AMJ. It is especially interesting and is in some ways similar to Peter Parker's "Knobless Wonder." It uses the phasing method of sideband generation. No crystal filters in this one. You need TWO balanced modulators. You have a 90 degree phase shift network for the RF (from the carrier oscillator) and a second 90 degree phase shift network for the AF from the mic amplifier. When you combine the signals from the two balanced modulators -- viola! -- one of the sidebands disappears. The balanced modulators take care of the carrier, and an SSB signal is launched. That is how my old HT-37 works, and similar ideas seem to be at work in modern SDR rigs. Here is a Canadian article on the rig. 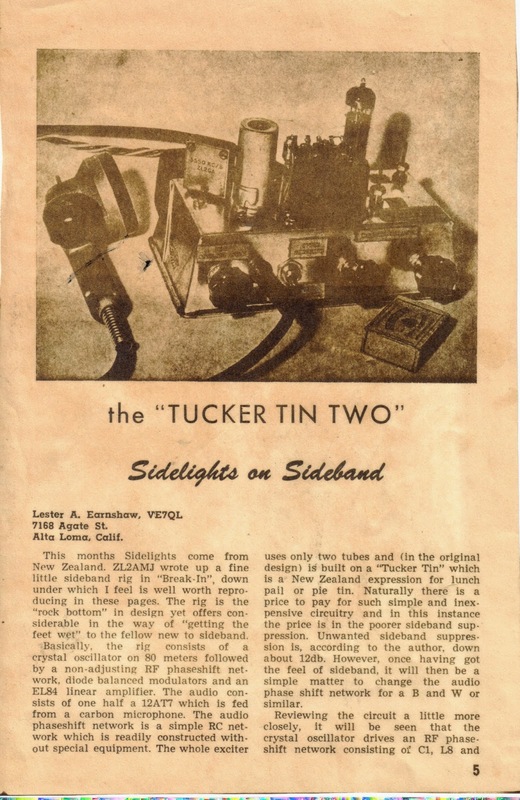 A "Tucker Tin" is apparently what the Kiwis call a lunch boxes (shades of Benton Harbor...). You know that you are dealing with a broad range of technology when you find yourself discussing how to power an Arduino microcontroller from the 12V AC voltage on a vacuum tube filament line. Thanks Pete. There is only so much that can be said in 1 hour and 19 minutes so maybe here is some stuff for the blog. 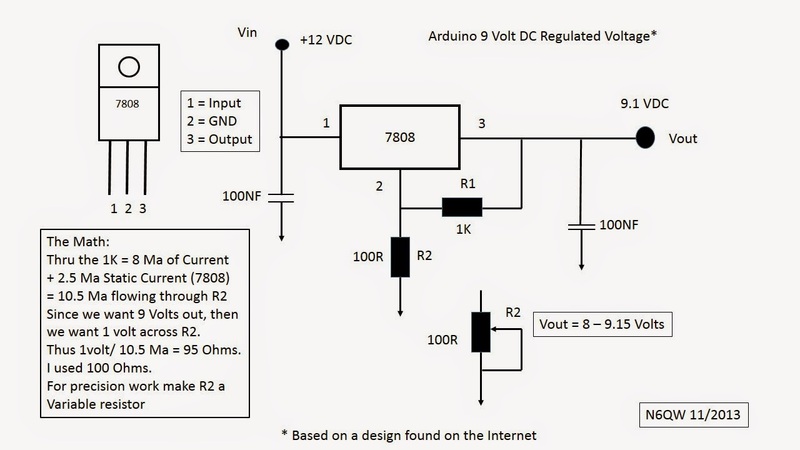 The 1st thing on the list when working with the Arduino when it is not connected to the computer is to have a proper power supply. My research as indicated that 9 VDC “raw” is a good starting point to power the Arduino boards so here are two supplies that will provide that power. 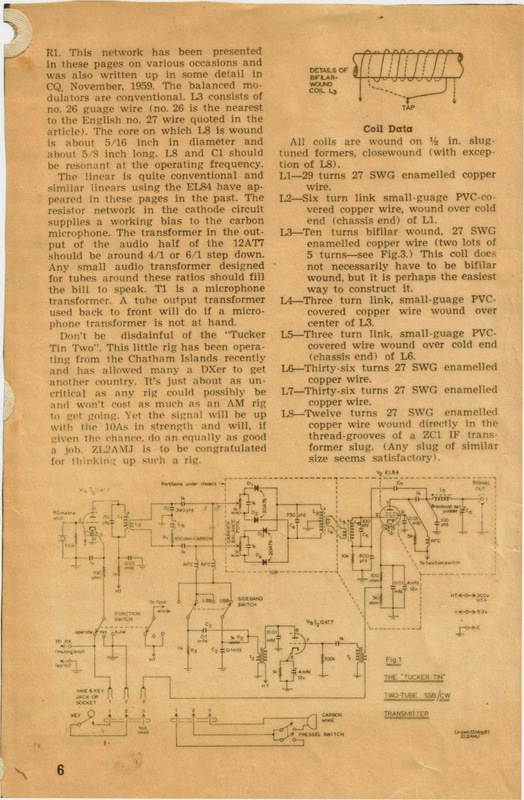 I did find that it was necessary to have an isolated supply when working with the “toob” radios and even to isolate the RF into the radio using a ferrite core transformer –some more tribal knowledge. 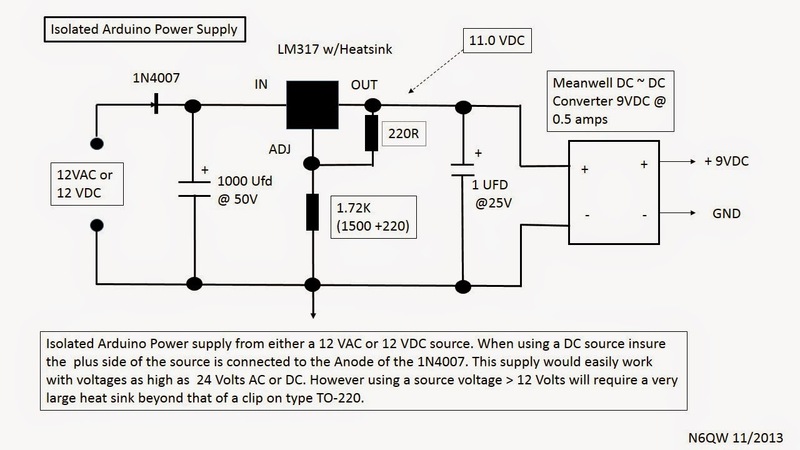 One supply takes an 8 VDC regulator and boosts its output to 9 VDC. The second uses a switching regulator and the beauty of the second is that the input can be either 12 V AC or DC. This is ideal for use in toob radios where you can sample the 12.6 VAC filament string. I was able to pick up the podcast with excellent audio quality. control.... Very easy to do indeed. tubes work very well at the 24 volts DC voltage level. to change the screen grid voltage of the detector. 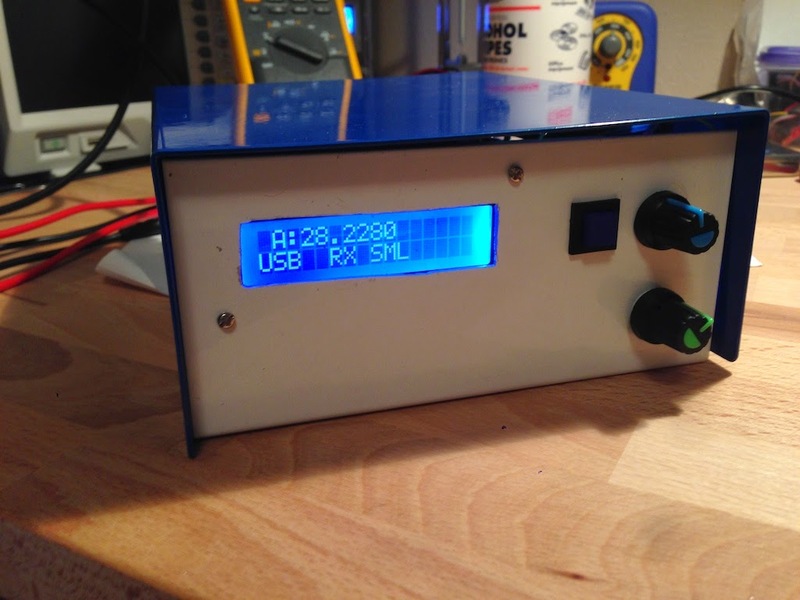 all provided from a very simple basic 70 volts DC power supply. obtain a very excellent bandspread on the ham bands. and Russian equivalent double triodes. podcast is available. BTW it lasted for almost an hour !!! Mysterious Echos on Shortwave Signals. Solve the Mystery. Please. Microcontrollers -- What they can do for you. 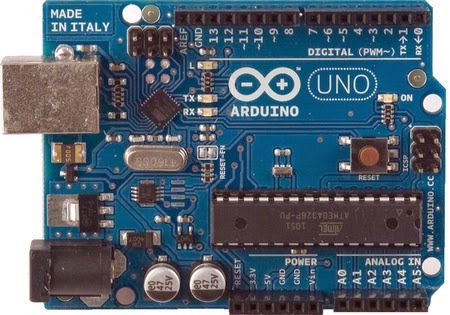 NEWS FLASH: Arduino creator Massimo Banzi was a ham! What the heck is a Shield? 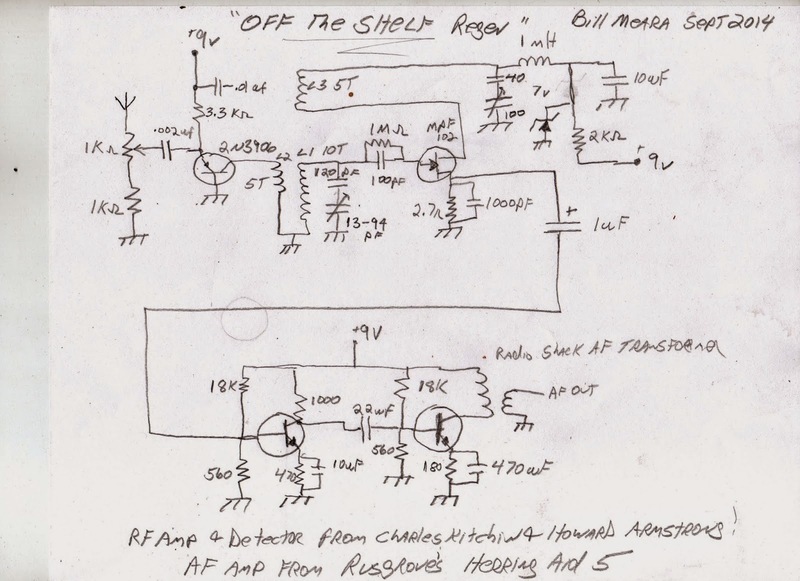 Tony, VE7JUL, wrote in asking for a schematic on the "Off the Shelf" regen. Here you go Tony. Nothing fancy or new here. All the credit goes to Howard Armstrong, Charles Kitchin and Jay Rusgrove! Even though they seem much simpler than other receivers, I think regens are in fact more of a challenge than, say, a Direct Conversion receiver. Be prepared to do a lot of fiddling around with the coil and the tuning and regen capacitors. Think of that detector stage as a VFO, a VFO that you want to be able to smoothly take out of oscillation. Here's a tip on regen debugging: Once you have it built, hang a high impedance 'scope probe off the drain of the FET and watch the scope/counter as you move the main tuning cap and the regen control. This will give you a visible indication of where (on the regen control) the stage is going into oscillation. A freq counter (I have one inside my Rigol 'scope) will let you know what frequency range you are operating on. You may end up having to make adjustments to the coil, adding or taking away turns to get into the proper frequency range, or to the desired level of feedback. Pay attention to the phasing of the coil turns. You may also find yourself adding capacitance in series with the regen and main tuning controls (to reduce their tuning range) or adding capacitance in parallel with the main tuning cap (to lower the entire tuning range if necessary). Build it solid and strong! It is, after all, an oscillator. Be prepared to do a lot of "noodling"
This receiver with just 4 transistors and no chips looks really interesting to me. 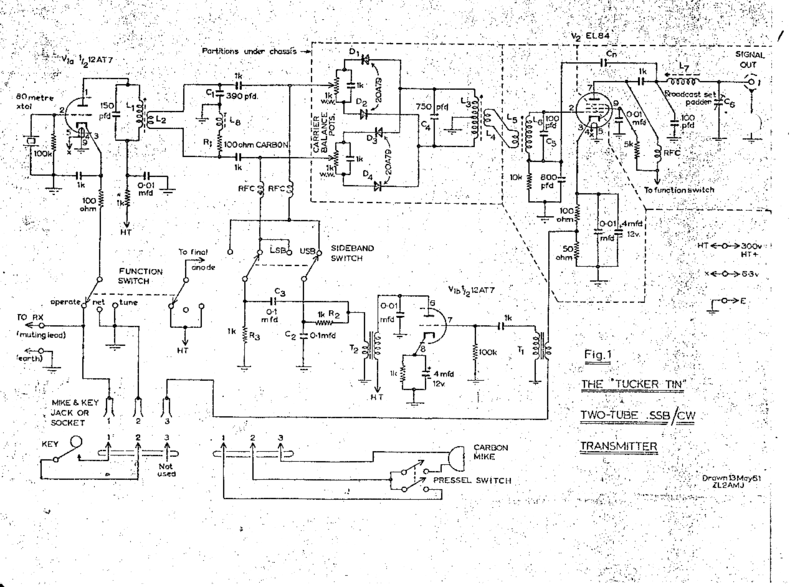 Do you have a schematic that you could either flip to me or point me to? Getting my hands on some air variable caps may be a challenge, but I can 'noodle' something out on that. 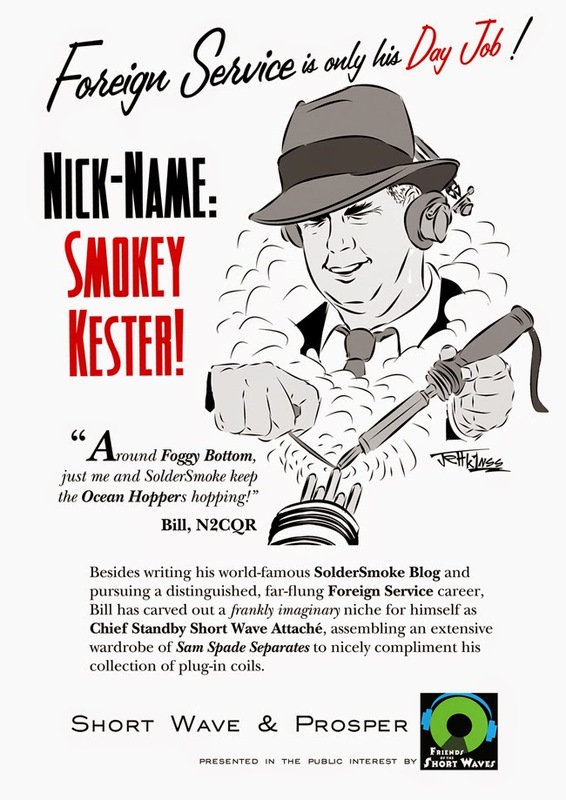 Love the podcast, blog and really enjoyed the SolderSmoke book - thanks for your continuing efforts to share with the amateur radio community. I call it the "Off the Shelf" Regen because the base on which it is built is scrap lumber from a recent shelf building project. Also, all the parts came out of the junk box. 6-10 MHz, AM, CW, SSB, Data. 4 transistors, no chips. Wow, there is a lot of workshop wisdom in this video. This is also a reminder that there are a lot of very cool people in the FDNY. Ed is an EMT/Firefighter. I've been building shelves for my wife. So I end up with all these nice pieces of pine, just the right size for the base of a breadboard receiver and a very sturdy cabinet to surround it. Then I find in the junk box two nice variable caps and this old pill bottle coil (with tickler!) that I wound in 1998; I figure they will resonate from around 5 - 15 MHz. Then Jeff Murray, K1NSS does that poster about Dave Richards, AA7EE (scroll down) in which he mentions the virtues of a National Velvet Vernier reduction drive -- I have one of those too. And then there is the copper-clad board (from AL7RV/W8NSA) that would be perfect for the front panel. You see where this is going, right? 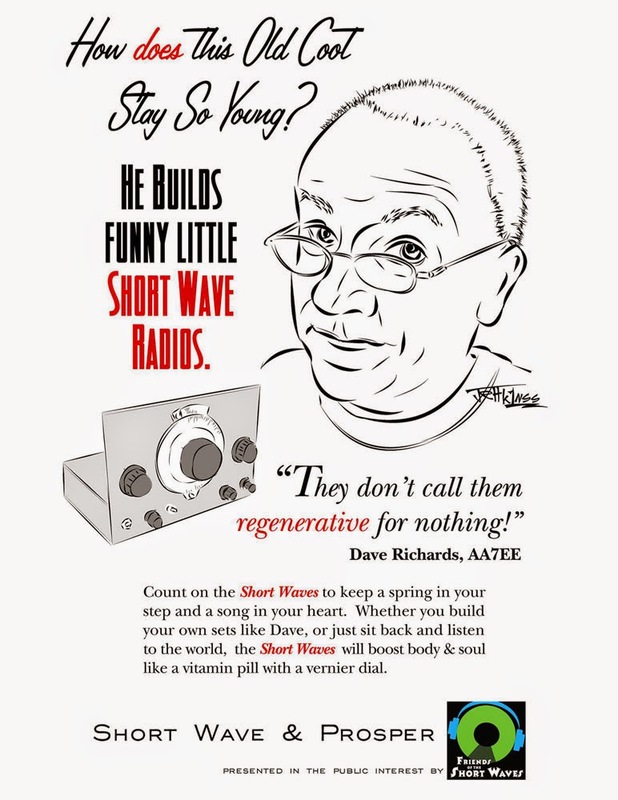 My friends, I am once again on the road to shortwave regeneration. It will have an Armstrong detector with throttle cap. Oh man, when I saw this I just had to put it on the blog. The artist is Jeff Murray, K1NSS, the genius behind Dashtoons. Dave Richards AA7EE is, well, the OC! So not only have we learned that regen receivers are NOT demonic, we now see that they have health enhancing properties! Like all that antioxidant stuff! This is great. I'm feeling younger already.